A wonderful psychotherapist once said to me, “Psychotherapy is the answer to the question, not the solution to the problem.” I was at a place in my life where the answer to the question of why I was unhappy and depressed, and not as successful in my personal relationships as I wanted to be, and seemingly had every capability of being, was clear to me. Knowing the answer to that question was nice, but it did not have a positive effect in my life. No real healing had occurred. I was seeing a psychotherapist and, like many other people, often came away from my session feeling worse than when I went in. This was because I had once again dredged up the painful experiences of my life looking for healing, and instead all I experienced was the pain once again. The intellectual question had been answered but the person within me had not been healed of its wounds. I was still unhappy and depressed. Genuine healing of the challenging experiences of my life (childhood physical, verbal, emotional and sexual abuse) had not occurred so, of course, my life proceeded in the same unsatisfactory fashion. My thoughts were pretty much the same, and consequently, the vibrations emitted from those thoughts were the same -- creating the same life as before. There was a slight improvement but not nearly as much as I wanted, or the psychotherapist’s bill would seem to warrant. For big bucks, I wanted big changes. I believed there had to be a better way. During my life I have also been an avid reader of self-help books. I have read books on meditation, positive thinking, affirmations, visualization, exercise and spirituality. None of them gave me an easy technique I could use to create immediate, lasting positive change in my thoughts, feelings and beliefs. It seemed to me, that if I had this Power within me at all times, as all the self help books I read assured me I did, there had to be a way I could access it whenever I needed help with the problems I faced -- at the exact moment that I faced them. I also found it very frustrating at times to be seemingly in control, to only discover that my thoughts and actions were really a reflection of my unconscious or sub-conscious mind. It seemed as though I was just a pawn of an unknown entity that I had no control over and no access to. I felt powerless to take charge of my life, if I was only to discover that it was this unseen and unknown entity that was the one really in charge. After fifteen years as a successful broadcast journalist, I went back to graduate school to become a therapist. However, as you probably already know, you can only take another person as far as you have gone yourself and so my own healing journey began in earnest. To this new phase of my life, I brought my natural curiosity, skepticism, inclination to question the status quo and my investigative skills. 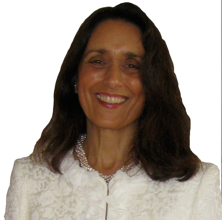 I also began a simultaneous three track educational and healing experience that enabled me to conduct a comparative analysis and was to lead me to very unexpected personal and professional revelations. While in graduate school and traditional psychotherapy, I also engaged in many other healing modalities, primarily energy-based therapies. My years and training as a journalist had made me extremely skeptical. However, I could not deny the validity of my own experience in feeling the kind of psychological healing as a result of energy-based therapies that I initially had sought through more conventional means. In addition, at each stage of my own healing process, just the right person with just the right skills would appear in my life and I would take the next step in my healing journey. When I would attend professional conferences, I would intend to just stick with the group and attend traditional seminars. Each time I ended up attending the seminars of reputable energetic healers instead. I found this area of healing fascinating and extremely effective, both in my own life and in the lives of others. In addition, during that time, I was a member of Al-Anon, a 12-step group. I (along with everyone else in the group) wanted to be like one particular woman in our group. She was happy, cheerful, active, productive, leading her own life, setting appropriate boundaries and now had a healthy marriage, family life and career. There was only one drawback to her present life that I could see. It had taken her over 15 years to achieve her level of happiness and health. I didn't want to wait 15 years to be that happy and healthy. So I set about to find a way that would deliver that kind of happiness and health now, in my life today. It was never my intention to be anything other than a traditional therapist, but my own experience of the healing efficacy and time and cost efficiency of energy-based healing modalities convinced me otherwise. 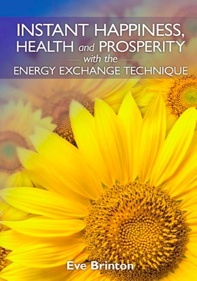 And so I left the conventional graduate school path and embarked on a healing and spiritual journey that has led me to become a multi-dimensional energetic healer, to my discovery of the Energy Exchange Technique and to writing this book. When the Energy Exchange Technique was first revealed to me, I thought it was just a little strange and over the edge. However, I was at one of the most challenging and lowest periods in my life and had nothing to lose, except my depression, so I tried it. Immediately my depression was lifted, and in its place were happiness, and a deep sense of well-being. Gone was the lethargy, lack of direction and purpose, and muddle-headedness. I could go about my day with energy, vitality and a positive attitude and be the kind of person I wanted to be – happy, content, loving and productive. Now with the Energy Exchange Technique, all it takes for me to be in charge of my life is to be able to honestly assess how I am feeling. Then, using the Energy Exchange Technique, I can quickly and easily change any negative thought, feeling or belief to a positive one, so that I can feel the way I want to feel and have the life I desire, not sometime in the future, but now –today.